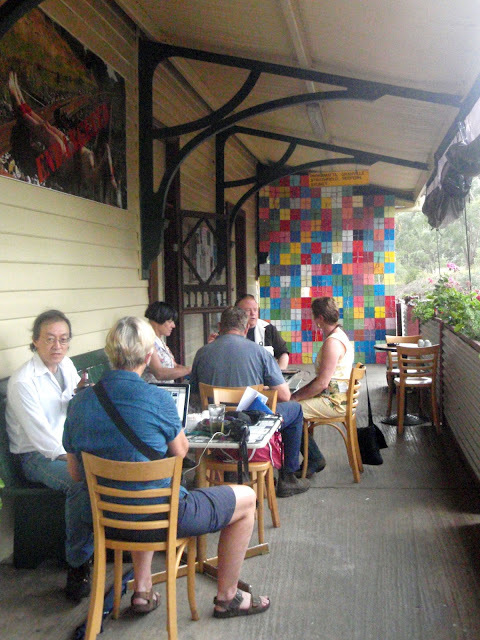 Cementa_13 was an inaugural arts event held in Kandos - a NSW country town about 4 hours west of Sydney. 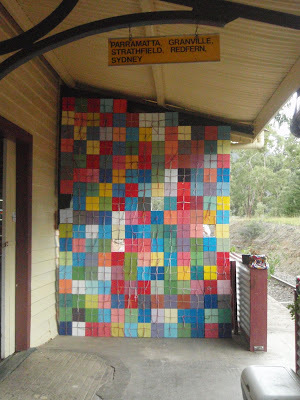 The town was formerly famous for making cement, now making nothing.... Georgie Pollard, Alex Wisser and Ann Finnegan (who runs Kandos Projects) had the wonderful idea to hold an arts festival - providing both an opportunity for artists to produce and show work, and a chance to revitalise the town through art. 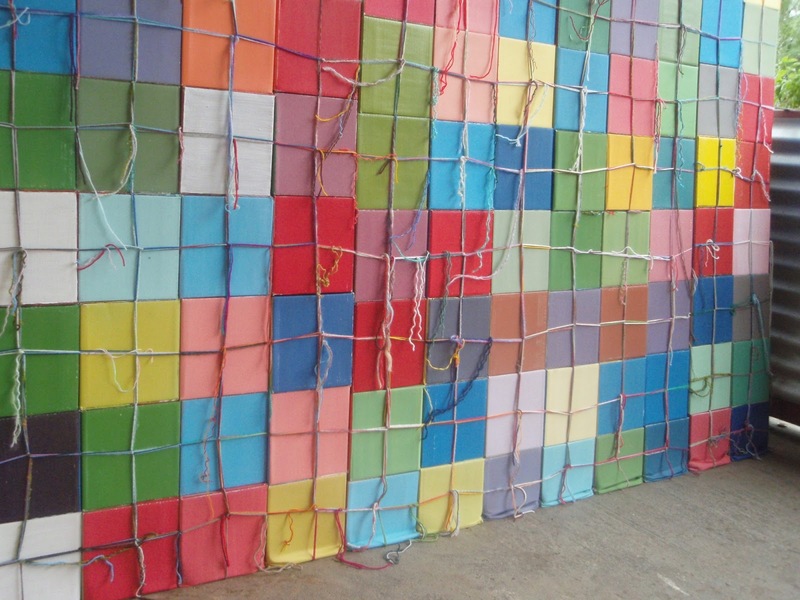 It was an outstanding success, with hundreds of people making their way there to participate. CLICK HERE to go to the Cementa_13 site where you will discover all things cementa (as well as my contribution to the site). 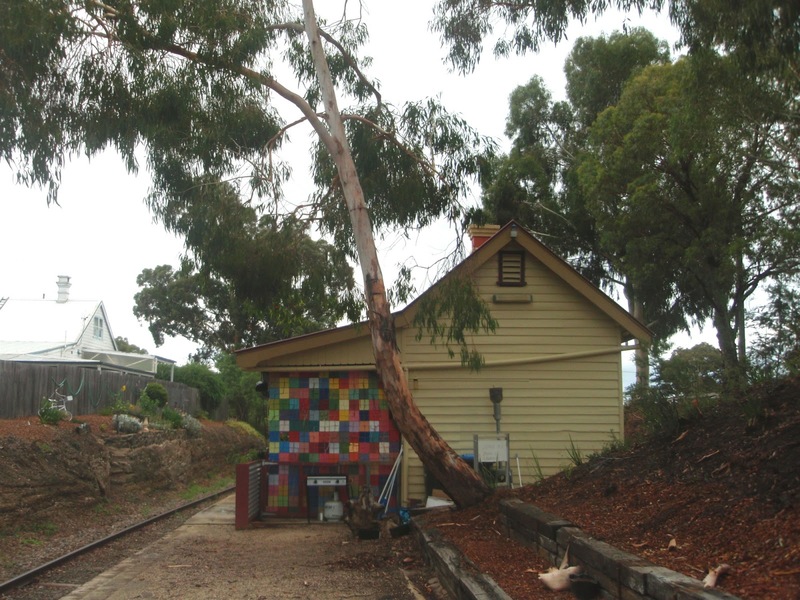 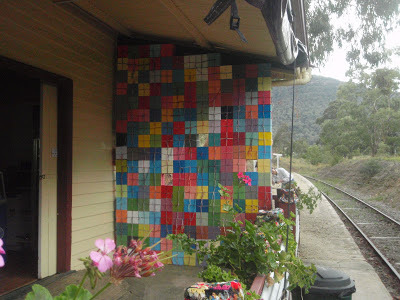 The work that I installed was a cube wall built at the end of the railway station that now operates as a cafe, as trains no longer run to Kandos. 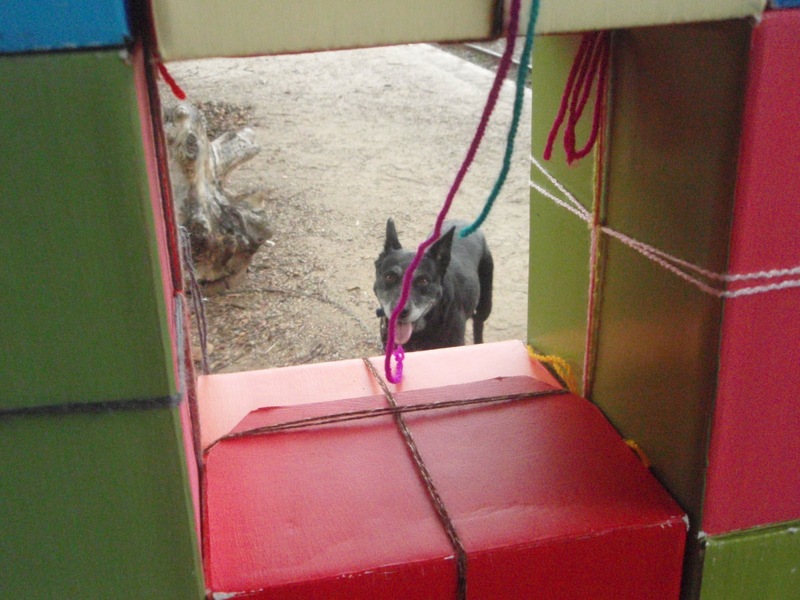 It was a solid wall that blocked off the platform, but had three cubes missing that provided glimpses of the landscape beyond. (CLICK HERE to watch a video of the work). 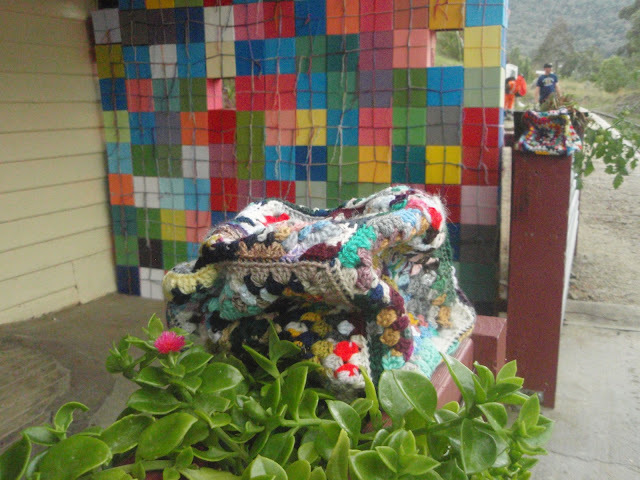 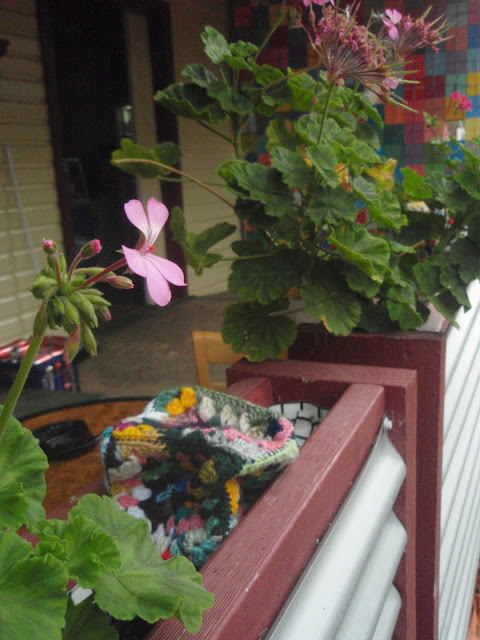 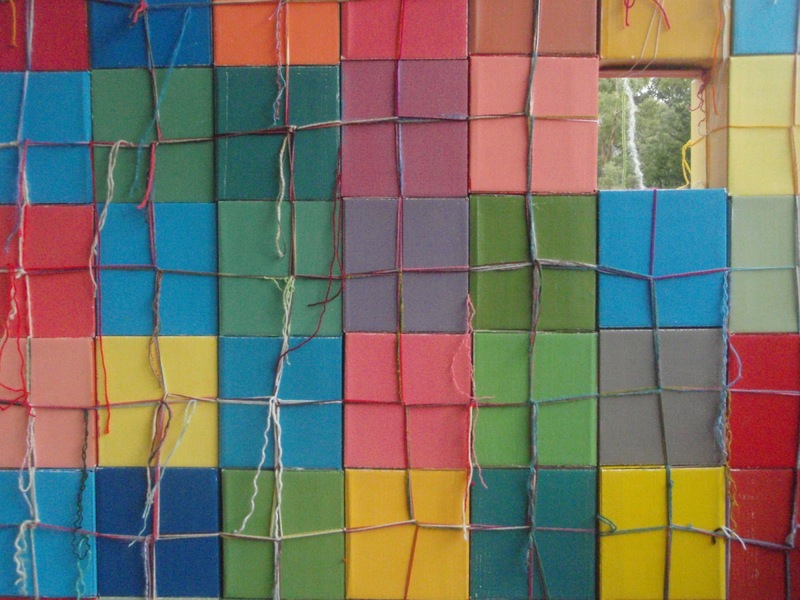 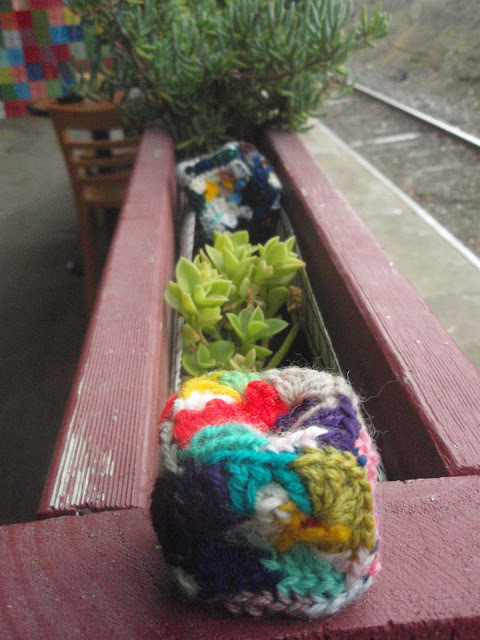 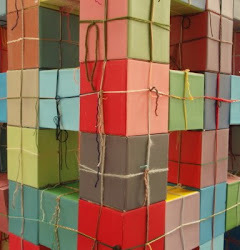 I also had 9 small crocheted cubes that sat along the railway wall - they had been made from scraps of wool that were left after my previous cube work had been demolished.